Springtime presents the ideal opportunity to get out and enjoy the sights, smells, views, and most importantly, the tastes of Eagle. 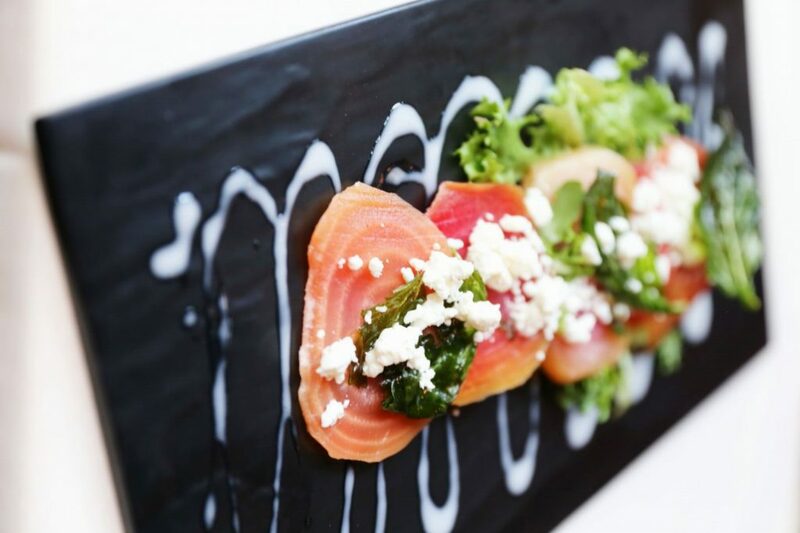 Eagle residents are blessed to be surrounded by a cornucopia of fine dining options. 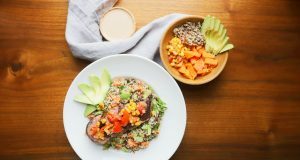 While many diners have a go-to dish at their favorite restaurant that they wouldn’t dream of straying from, appetizers give even the most conventional patrons a chance to channel their inner Lou Reed and take a walk on the wild side. Okay—maybe not that wild. Still, sweet, salty, and spicy to boot, Eagle has just the appetizer for you. Are you nuts about, well, nuts? Do you put peanut butter on your peanut butter? 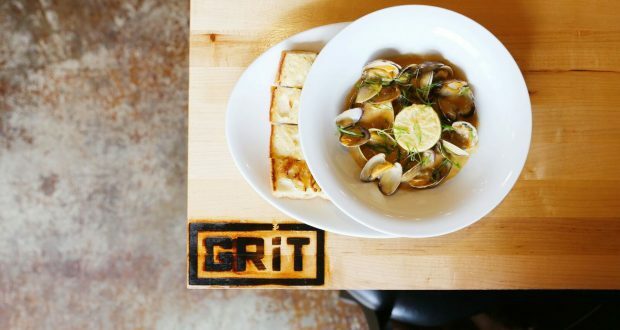 Look no further than Grit’s Steamed Clams appetizer. This Thai-influenced dish boasts a sweet coconut ginger sauce infused with lime, garlic, and scallions. Inspired by Somalian refugees, Chef Paul Faucher employs honey roasted peanuts from City Peanut Shop as a thickener, giving the sauce an exotic African twist and the undeniable aroma and taste of rich crunchy peanut butter. The end result is a mouthwatering dish featuring all the elements of taste: sweet, spicy, rich, and even a hint of sour. 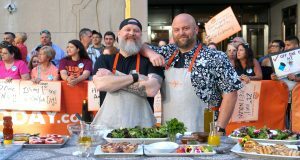 One bite of this unique synthesis of ethnic cooking styles will etch its one-of-a-kind taste into your flavor palate and leave you clamoring for more. 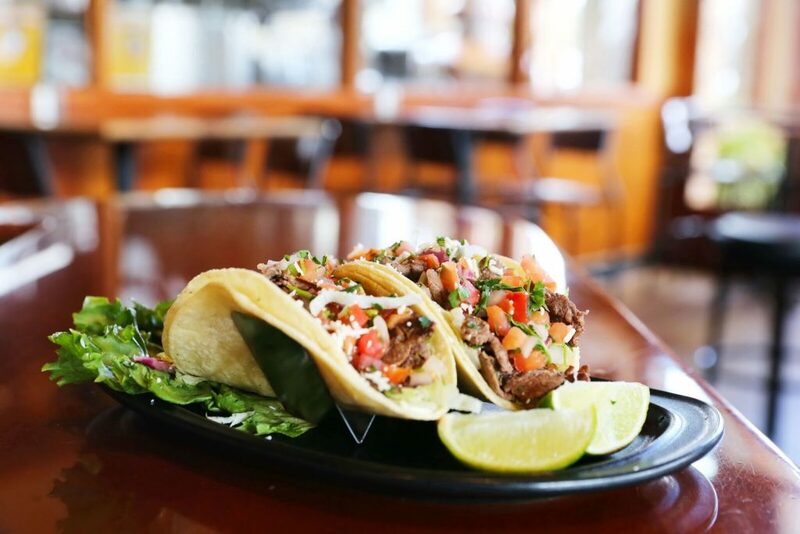 Bardenay may be one of the Treasure Valley’s worst kept secrets, but that shouldn’t stop you from indulging in their lean American-Style Kobe Beef Tacos. This zesty favorite consistently draws rave reviews from Bardenay employees and patrons alike, and for good reason, too! With locally sourced beef from Snake River Farms, the only thing that rivals the freshness of these tacos are their flavor. Served on a white corn tortilla with pico de gallo, shredded lettuce, and cotija cheese, Bardenay has crafted the perfect summertime taco. Grab a seat on Bardenay’s elegant patio with a beautiful view, tame the heat brought by these delightful tacos with a house gin martini and enjoy your own little slice of paradise. 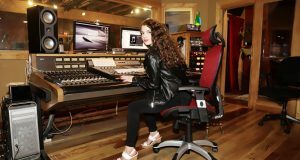 It would be fair to say that Bella Aquila, like the Go-Go’s, has got the beet. New to the menu for 2018, the Chioggia Beet Caprese is the ultimate way to immerse your taste buds in springtime vibes. This wonderful medley of earthy flavors features milder spring beets contrasting with the kick of peppered arugula lettuce. To top it all off—literally—a white balsamic vinaigrette drizzle and a touch of goat cheese give it a hint of that sour cream flavor that makes the whole dish pop. While there’s little doubt that the fusion of Spring colors makes the Chioggia Beet Caprese jump off the plate, the true beauty of this appetizer is the lasting impression it leaves on your taste buds. 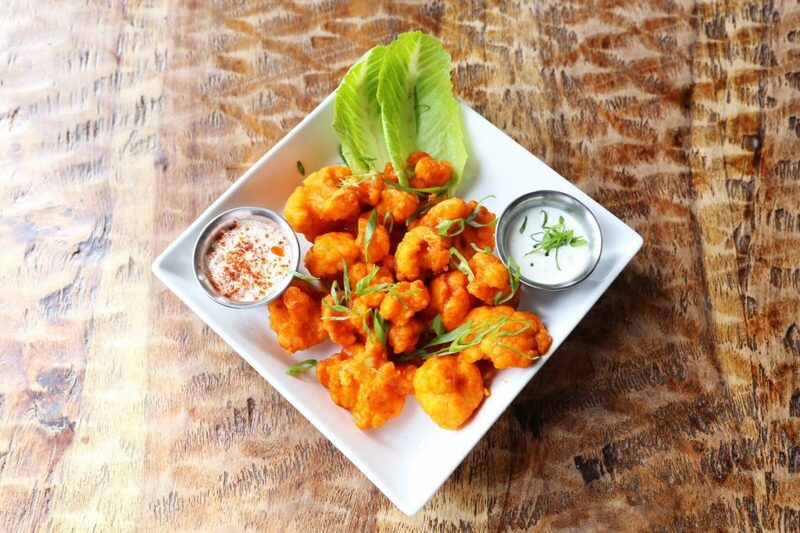 Vegan options often garner a collective groan from meat enthusiasts, but Rembrandt’s Cauliflower Hot Wings are without question the exception to the rule. Buttermilk drenched and deep fried to crispy perfection, these cauliflower florets first captivate guests with both their irresistible aroma and eye-popping appearance. Still, it’s the sauce options that seal the deal on these one-of-a-kind “wings.” Teriyaki style gives diners the sweet and savory tang while the buffalo style brings the zing hot wing fanatics crave. Best of all, indecisive eaters like myself are let off the hook with the option to order these tasty treats with half of each style. Served exclusively during dinner hours with your choice of ranch or blue cheese, the only way to fully grasp the delectability of this Rembrandt’s favorite is to try it for yourself. 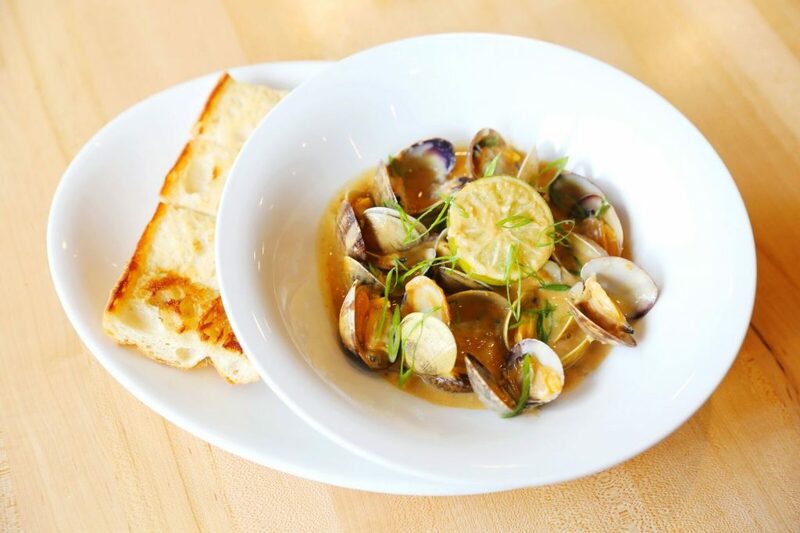 Asian restaurants are often known for their absolute abundance of delicious menu items, and Rice Contemporary Asian Cuisine is no different with a menu featuring dishes from China, India, Japan, Korea, Vietnam and Thailand. So many quality choices can make for an unpleasantly difficult decision, so why not go with a house-original dish like the Bangkok Shrimp? 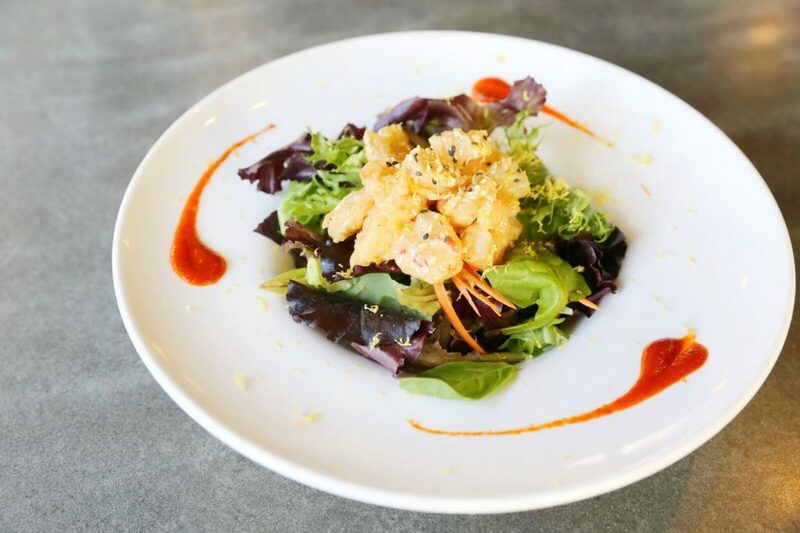 Created by General Manager Toffee Dullaphan, this popular summertime dish features the crisp earthiness of a fresh salad seamlessly melded with the zest of lemon-seasoned shrimp. Topped with sesame seeds and house-made aioli, it’s tough to go wrong with this light, nutritious option. Ironically enough, many diners steer clear of appetizers at restaurants for fear of spoiling their appetite for the main course. At the Flats 16, however, there’s an app for that. The Mediterranean Platter is the quintessential blend of light, yet tasteful. Complete with warm pita bites, sweet seafood-stuffed peppadew peppers, homemade hummus, fresh sliced vegetables, cured meats and more, this appetizer wins the heart of diners with its teeny bites that pack a punch of flavor without stealing the show from the entrée. 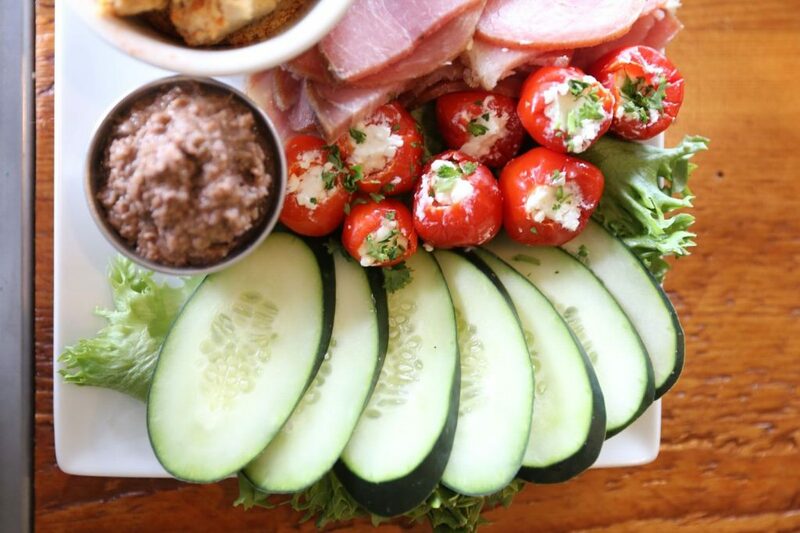 Pair this platter with a glass of wine and a spot on the gorgeous, newly renovated patio—you won’t regret it. With breathtaking patio views, alluring aromas, and unforgettable tastes, it’s safe to say that Spring is in full swing. Whether you’re looking for a light snack or a heaping portion of mouthwatering goodness, Eagle has you covered. The birds are gleefully chirping, the sun brightly shining, and the flowers perkily blossoming. The only question that remains is—shouldn’t you be too?